Condolences to President of Egypt Abdel Fattah el-Sisi. El-Arish. Putin.BLOG Foreign Policy Condolences to President of Egypt Abdel Fattah el-Sisi. El-Arish. 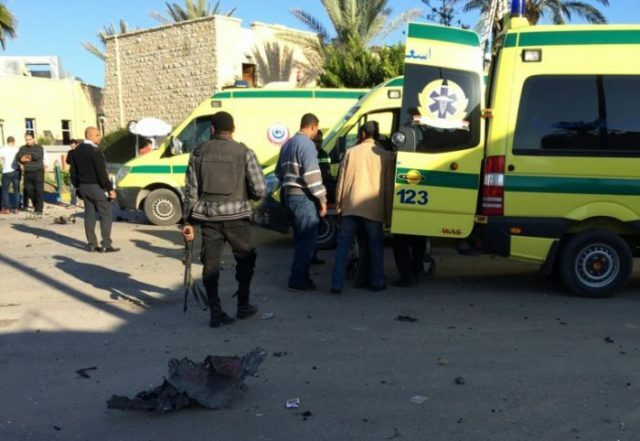 Vladimir Putin expressed his condolences to President of the Arab Republic of Egypt Abdel Fattah el-Sisi over the death of Egyptian police officers and military personnel in a terrorist attack in El-Arish. Vladimir Putin stressed in his message of condolences. President Putin reaffirmed that Russia is ready to further step up cooperation with its Egyptian partners in fighting this global threat. Mr. Putin passed on words of sympathy and support to the victims’ families and friends and wished a speedy recovery to those injured in the attack. Terrorist attack in El-Arish, Egypt. 0 Comment to "Condolences to President of Egypt Abdel Fattah el-Sisi. El-Arish."